Justin Stenstrom, life coach, author, speaker, and creator of the Elite Man Conference, joins our show in this special episode of The Justin Stenstrom Show. 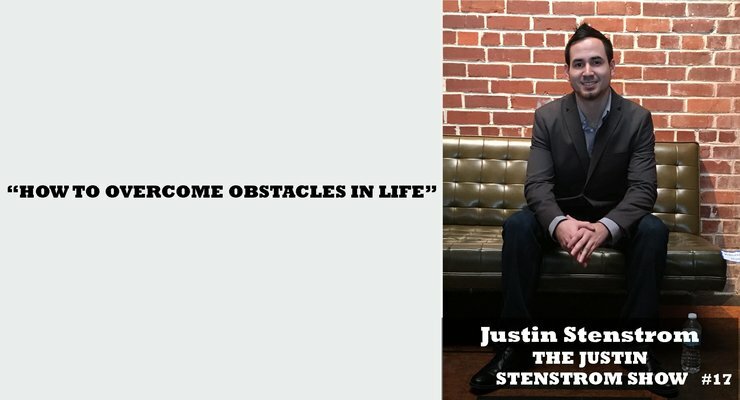 Justin talks about the art of overcoming challenges and obstacles in life and shares his best strategy for doing this. He shares with us his experiences in the past with dealing with adversity and what he did to overcome them and how focusing on a past success can be huge in overcoming an obstacle in the present moment. If you’re wondering how to overcome obstacles facing you today, check this episode out now!